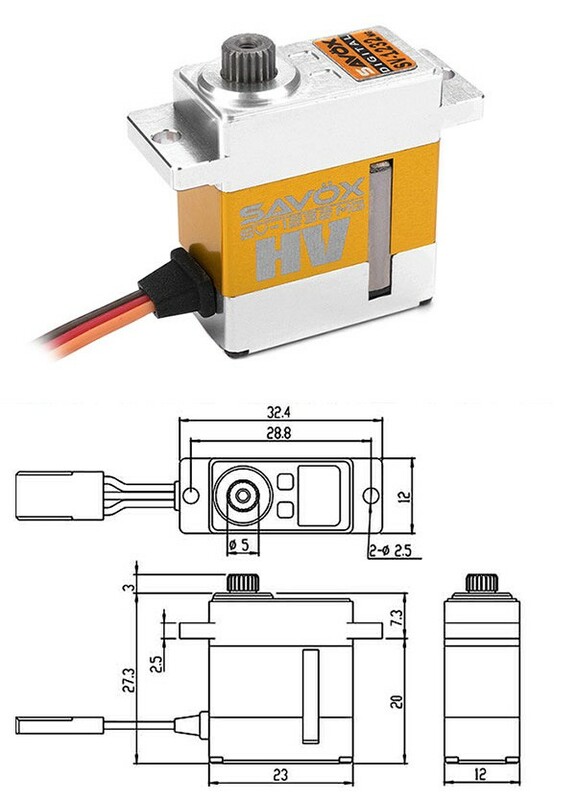 The servo SV-1232MG is a fast high voltage digital servo with coreless motor, 1 ball bearing and metal gears. It can be used in airplanes, cars, and helicopters, for example as swash plate servo in small helicopters, like the Goblin 380. 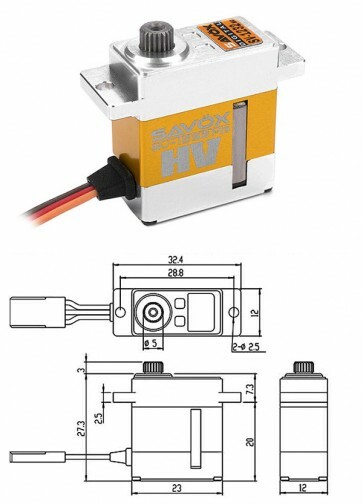 The delivery includes the servo as well as the servo arms and the mounting screws.